Because technology continues to evolve, the need for trained and certified IT Technicians is also a growing need. Technology is complex and both companies and organizations need people who have skills validated by certifications to ensure reliable operation and security of the devices and networks. 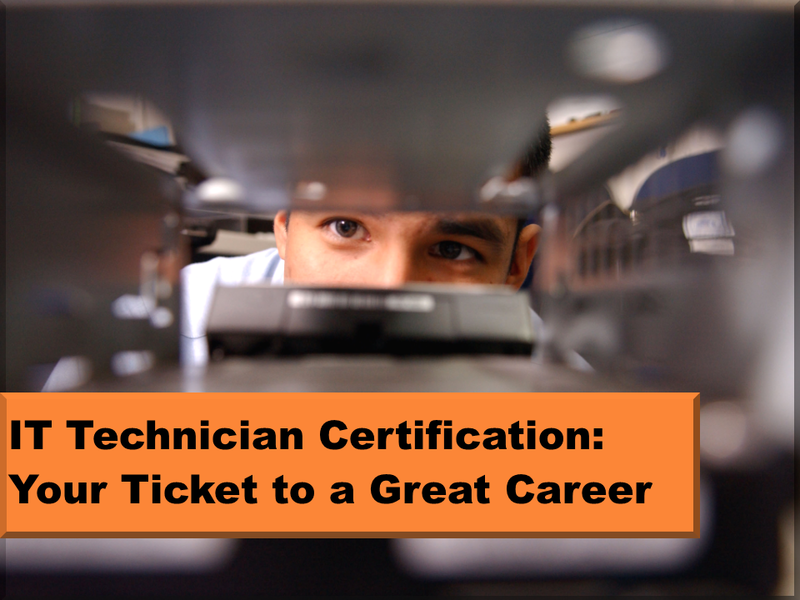 Your ticket to a fulfilling career as an IT Technician begins with learning the skills and attaining certification! How do you go about securing this certification? **Your IT certification validates your skills through proctored exams that include theory, knowledge, and operations. When you begin your certification journey with the CompTIA series of IT certifications, you obtain certifications that are recognized as the global standard for the foundational IT skills that lead to every other technology career area. **When you start with the best foundation, it opens up the full range of certification tracks for you to pursue your interests while enhancing your knowledge and capabilities. Whether you want to build and repair machines, manage a corporate network, be a network security professional, or manage the Cloud, your foundational IT Technician certifications will take you there…and with it, the opportunity to increase your salary and reputation as a professional. **In today’s technology-driven lifestyle, the need for IT Technicians and higher level IT professionals continues to be a critical shortage in the job market. Even though there are more people seeking jobs, companies and organizations have a difficult time finding IT Technicians with the right skills and certifications. The job market for IT professionals is—and will continue to be—an open opportunity for certified IT Technicians. CompTIA Network+, which provides the knowledge, application, and hands-on experience with multiple computers organized in various network types to successfully pass the CompTIA Network+ certification exam. Using study preparation materials in conjunction with course materials, preparing for and taking practice exams will provide the context for success on the certification exams. When you can complete practice exams consistently with a score of 90% or higher, you are ready to tackle the certification exam. The CompTIA A+ certification consists of two exams. The CompTIA Network+ certification consists of one exam. If you do not take your training through a training center that provides exam vouchers, you will need to purchase exam vouchers. The two A+ exams cost $199/ea and the Network+ exam costs $285. Exams are administered at various PearsonVUE certified testing centers. You register for your exams on the PearsonVUE website, selecting the testing center most convenient for you. You can choose the best testing date based on your study and preparation timeline. All exams include both multiple choice and performance-based questions. For the A+ exams, both exams consist of 90 questions with 90 minutes to complete the exam. For the first exam, a passing score is 72% (68 questions answered correctly). For the second exam, a passing score is 75% (70 questions answered correctly). The Network+ exam consists of 90 questions over a 90-minute testing period. A passing score is 80% (72 questions answered correctly). Congratulations! 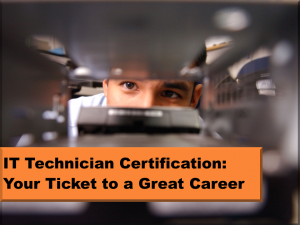 You are on your way to becoming IT Technician certified. Not only will it enhance your knowledge in the field but it will demonstrate your credibility in the professional world, lead to better salaries, and make you more secure and valued. THIS PROMO ENDS ON DECEMBER 31, 2016 for classes through March 31, 2017! Call NOW for additional information and registration to 602.386.2054 or 866.399.8287 and ask for Rodger Brubacher, Director for Continuing Education, or email rodger.brubacher@dwwtc.com — Act NOW before all the seats are taken!